Sensory regulation, or sensory integration or modulation, are all terms that refer to a person’s ability to regulate and process the stimuli they constantly receive from the environment and their own body. It may seem complicated but, in fact, it just means that your brain processes sensory data – e.g. sights and sounds or positions and temperature – to make sense of sensations and form a unique experience of the world. Children and adults naturally learn to work with their inborn tendencies, adopting habits and behaviors that regulate the input they receive to help create a satisfying day-to-day experience. Every person has his or her distinctive makeup and level of sensitivity to stimulation, i.e. their own experience of the world and of everything that goes on in it. Some people are very sensitive to sounds, smells, tastes, sights or touch, while others are less sensitive, letting some things just pass them by. For instance, some babies need a lot of stimulation to draw their attention while others can't handle too much stimulation. 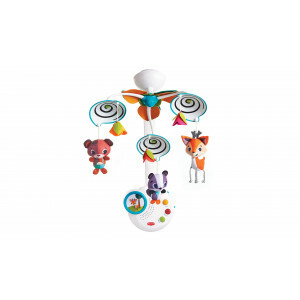 This means that some babies will be enchanted by a toy the plays lively music and has bright lights while other babies might find the toy a bit over the top and cry or avoid it. Parents should work with their baby’s natural tendency and regulate the level of stimulation they offer accordingly. During the first year, babies reveal their own unique biological-neurological processing tendencies, unknowingly offering caregivers an excellent tool to help shape the kind of experiences they offer. Through interaction and play, you translate the world for your baby, helping baby realize his or her full potential while strengthening your bond and deepening your relationship. The process of sensory regulation is a central part of baby’s growth and development in the first few months of life and is one of the central developmental challenges a baby faces. Babies are born with an immature ability to regulate the input they receive and gradually learn how to handle all the stimulation around them, acquiring a better ability to filter the stimulation rather than being overwhelmed by it. A good example of this is the fact that many newborns cry when they are undressed or bathed, but after a month or two they relax and start enjoying the experience. Interactions with the world, such as being held by other people, touching different materials or toys, moving in and out of postures on the floor, tasting different flavors, and hearing different voices and sounds all aid in the development of the sensory systems. Parents play a central role in helping their babies learn to modulate the input they receive and reach the right level of stimulation for their unique personality. Some parents are unaware of just how important it is to “mind your baby’s mind”. Being aware of baby’s mental and cognitive capacities and learning how intensely he or she experiences the world should affect the way parents interact with their babies. For instance, if your child is sensitive to sounds and can’t avoid turning his head towards every voice he hears, it would be a good idea to play in a quiet environment and avoid disruptions during playtime. 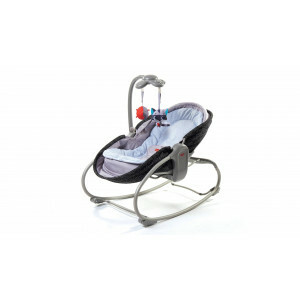 This will help baby regulate the noises around him and focus. This sort of adaptation to baby will ensure that the experience parents offer is as positive and constructive as possible. In the first three months, baby’s sensory system is ready to operate but still very immature. This is apparent in babies’ ever-changing sleeping and eating routine during these months. It can be very hard to understand what your baby really needs at this stage, but it is important to be sensitive and responsive to baby’s cues. Among other things, this will help baby establish self-regulation. Baby begins to show the first signs of self-regulation after she becomes more acquainted with her surroundings. She can turn her head away if a certain kind of stimulation is too much; offer a wider array of cues to signal what she wants; and more. For instance, if baby signals she has had enough to eat you should listen to her and not try to get her to eat more. Relying on baby’s cue in this way helps her develop a sense of satiety and further develops self-regulation. Baby’s unique sensory experience of the world becomes apparent. Now parents can better understand their baby and see whether he tends to seek stimulation or avoid it; whether he is sensitive to sounds, smells, sensations; etc. This familiarity with baby’s natural tendencies will help adjust the level of input while slowly increasing or reducing stimulation to allow more sensational stimulation or focus, depending on what baby needs. During the first year, babies reveal their own unique biological-neurological processing tendencies, unknowingly offering caregivers an excellent tool to help shape the kind of experiences they offer. Through interaction and play, you translate the world for your baby, helping baby realize his or her full potential while strengthening your bond and deepening your relationship. Your own act of mediation during this early period helps babies learn how to later mediate the world for themselves. The tricky thing is to juggle between shielding a child from unpleasant experiences and introducing unfamiliar experiences. In this sense, a parent needs to find a balance between tailoring experiences to fit baby’s natural tendencies and gently stretching the emotional and cognitive boundaries to allow their child a wider sensational scope and greater flexibility in responding to the environment. For example, if your baby cries when you turn his crib mobile on, try using the toy without music initially and gradually add the music, allowing baby to become familiar with the sound. It is important to remember that a child’s own unique way of experiencing the world varies and is affected by an array of variables, such as the time of day, level of tiredness, even the time of year. In other words, always remember that your influence is significant but subject to baby’s changing mood and that flexibility is always helpful. For example, you might assume your child is less sensitive to stimulation in summertime, but discover that in the cold winter a new highly sensitive side appears, changing your little one’s experience of the world and the character of your interaction. For example, you may find that she resists wearing socks or dislikes the heavier more constraining fabrics of winter. Parents understanding of baby’s unique sensory tendencies can help reduce the tensions associated with various levels of sensitivity, encourage development and, most of all, help make the child’s experience of the world more fun and satisfying. Learning your baby’s natural tendency can contribute to the bond you establish and help you understand your baby. 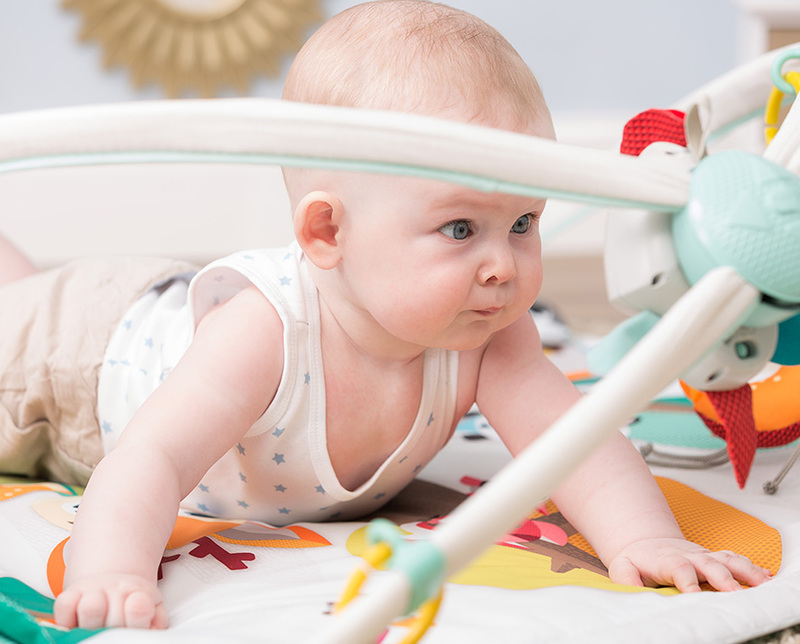 Go to our product pages and enter our Baby Steps tab for some useful sensory regulation baby tips that could help you adapt your play with baby. See how you can adapt Tiny Love's Magical Night, 3-in-1 Rocker Napper, Gymini Tiny Princess Move & Play and many other products to perfectly suit your baby. Using these products in a way that corresponds to your baby’s natural tendency can help create a positive experience of the baby toy or product. Parents understanding of baby’s unique sensory tendencies can help reduce the tensions associated with various levels of sensitivity, encourage development and, most of all, help make the child’s experience of the world more fun and satisfying. In the vast majority of cases, being sensitive and responsive to baby’s cues and interacting and playing in a way that fits baby’s tendencies will encourage baby’s positive experience of the world and help him or her find the way to self-modulate their experience adequately. If you feel that your baby is having a hard time processing the stimulations he or she is receiving from the environment, you could always consult a professional who will be able to evaluate the situation. A professional has the tools to check whether baby’s excessive crying or tendency to arch their back when held, for instance, is just a phase or something that demands a little extra attention. Minor problems with sensory regulation are quite common and professional guidance can be a great help in such situations. Some good advice could help you and your baby find the way to really enjoy your time together, playing and interacting in a way that supports the development of sensory regulation. In the preparation of this article, Tiny Love has enjoyed the consultation and guidance of Dr. Dana Weiss-Arhad, a developmental psychologist. Dr. Weiss-Arhad works as a developmental advisor at the Dana Children’s Hospital, Tel Aviv Sourasky Medical Center, where she evaluates difficulties in parent-child relationships and treats various symptoms in babies: sleep disorders, eating disorders, behavioral problems (constant crying, restlessness, aggression, etc). She has also worked at the Child Development Center, Meir Medical Center. 1. Dunn, Winnie PhD, OTR, FAOTA, Supporting Children to Participate Successfully in Everyday Life by Using Sensory Processing Knowledge, Infants & Young Children, April/June 2007, Vol. 20, p 84-101. 2. Dunn, Winnie PhD, OTR, FAOTA, The Sensation of Everyday Life: Empirical, Theoretical and Pragmatic Considerations, The Amercian Journal of Occupational Therapy, November/December 2011, Vol. 553.